Theatre performance 90 min. Idé, consept and text. 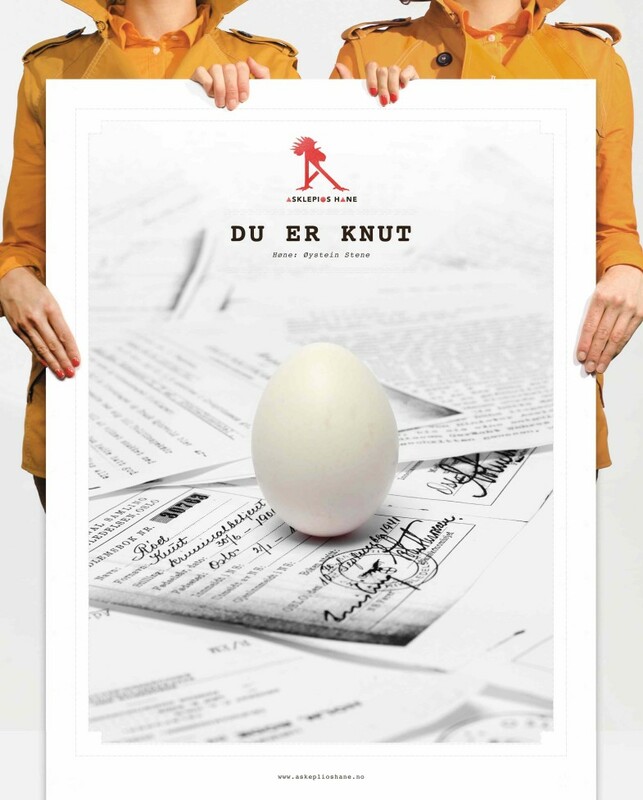 The production Du er Knut («You Are Knut») begins when one of the strangest trials in the history of Norway ends: After the Second World War, charges are brought against Assistant Commissioner Knut Rød, who was responsible for the deportation of Jews from Oslo and Akershus in 1942. But he is acquitted and the matter is hushed up. Knut Rød continued to work on the Oslo police force until his retirement in the 1980s. Du er Knut was staged at Black Box Theatre in August 2011, and was a part of the Norwegian playwrights’ festival (Dramatikerfestivalen) that same year. Significant portions of the drama are based on documents from the trial in 1946. The production was developed and staged in collaboration with the independent theatre group Asklepios hane — the members of which are Janne Heltberg Haarseth, Sigurd Myhre, Ingeborg Sundrehagen Raustøl, Herman Bernhoft and Marie Blokhus. The production was awarded the Friends of Torshovteatret’s prize for production of the year in 2011.